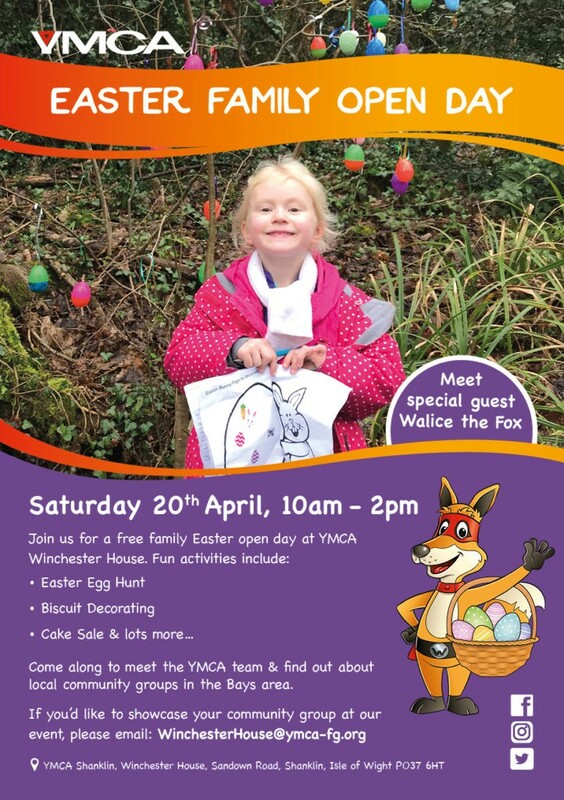 Whale Island Nursery is a unique YMCA branch – it is situated on a Naval Base and most children who attend the nursery have parents who are in the Navy. 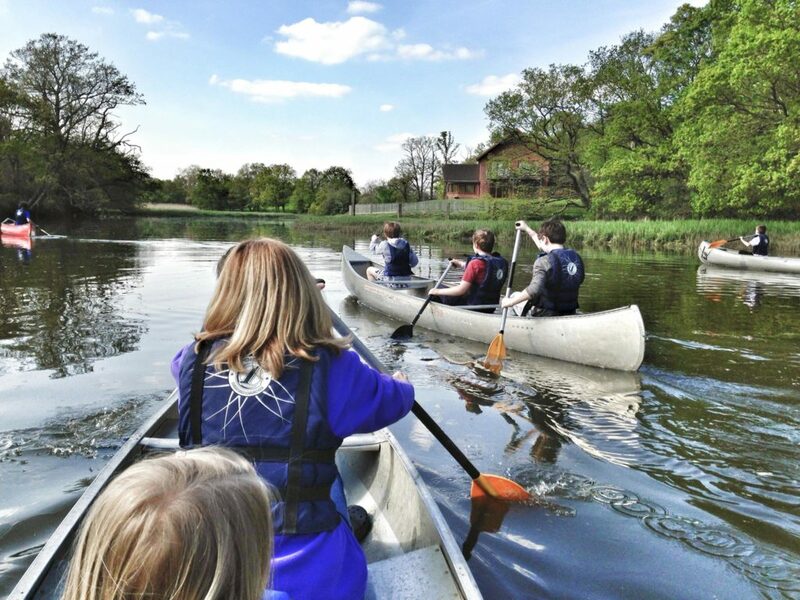 For many children this means that one of their parents may be working away from home for months at a time. 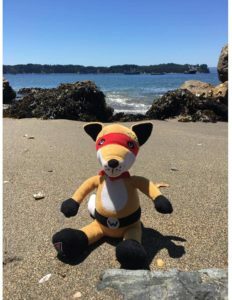 This is where Walice the Fox comes to the rescue! 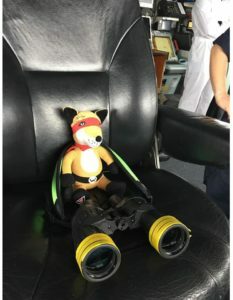 The parent who is deployed is given a cuddly Walice Fox toy to take with them and the child is given one too. 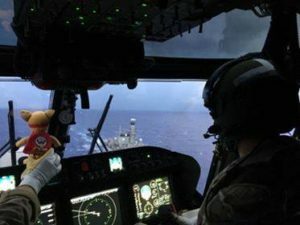 Each Walice has a ‘cuddle button’ attached, which the child can press every time they miss their parent, which sends them a hug through Walice. 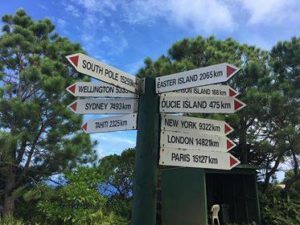 Walice also sends photos of his adventures back home to the child. 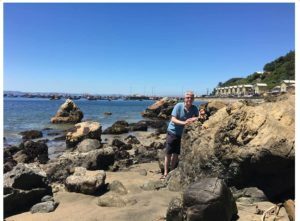 He has already been to lots of exotic places such as New York, Paris and the Grand Canyon – here’s his diary from his last trip accompanying Captain Coner and the Crew on-board HMS Montrose. #EXCITING! 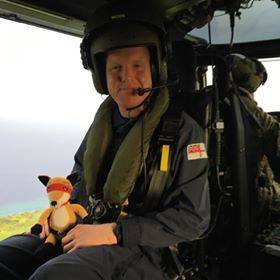 24th Nov: YMCA Walice the Fox is off on another adventure this time on board HMS Montrose helping the Captain through the Panama Canal. 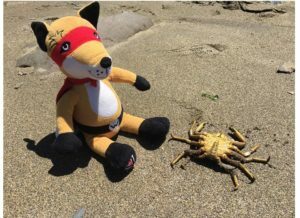 I wonder where he’ll end up next? 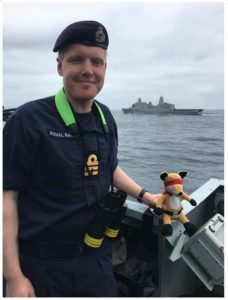 16th Dec: YMCA Walice the Fox is helping his friend Captain Conor keep watch as HMS Montrose sails into Chile. 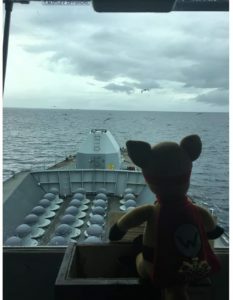 8th Jan : YMCA Walice the Fox Mascot From YMCA Whale Island has been busy with Captain Coner and the Crew on-board HMS Montrose. 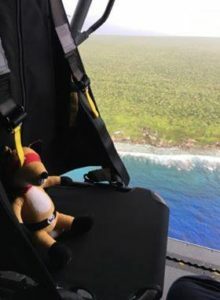 Walice joined the crew on a Wildcat and flew to the uninhabited Henderson Island then climbed a huge hill on Pitcairn Island with just 56 people living there! 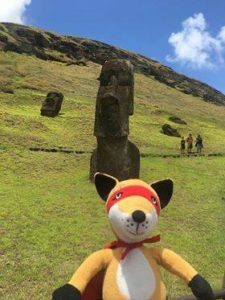 Walice and the crew also found some giant heads on Easter Island. 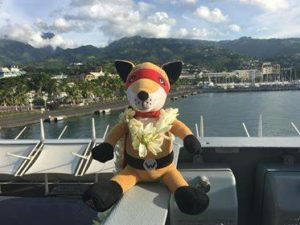 9th Jan : WOW… after travelling over 15000km YMCA Walice the Fox and his friends on HMS Montrose have had a warm welcome to the Pacific island of Tahiti. 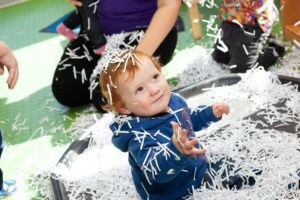 Walice is loving the traditional flower Necklace given to visitors.